It’s funny that the Jazzmaster has become so synonymous with punk and indie rock, because (as the name implies) it was originally designed with jazz guitarists in mind! In fact, the offset body was designed so that it would be easy to play while sitting down—a far cry from the way they’re used nowadays by indie guitar legends like J Mascis, Troy Van Leeuwen, and Thurston Moore. Of course, what attracted many alt-rockers to it in the first place was its versatility, and gradually players from all genres caught on and grew to love the Jazzmaster for its incredible tonal flexibility. 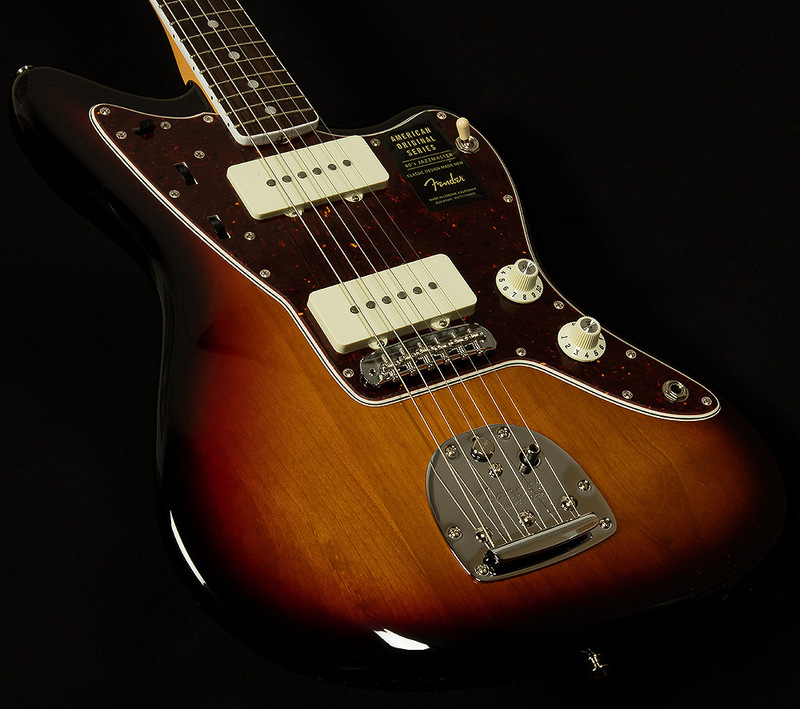 Now, Fender honors the Jazzmaster’s legacy with the American Original ‘60s Jazzmaster. The Wildwood team is full of Jazzmaster fanatics, so we were all chomping at the bit to be the first one to unbox one. I won, and let me be the first to say: they are incredible! There’s a lot to be geeked about, but the new Pure Vintage pickups are especially electrifying. By using enamel-coated wire, cloth-covered output wires, fiber bobbins, and alnico 5 magnets, Fender has managed to wind modern pickups that sound like they came straight out of a time capsule! They chime, bite, and jangle just like vintage Jazzmaster pickups, and they sound so accurate that playing one feels like taking a vacation in one of your favorite records. For vintage enthusiasts, Fender has included some awesome appointments that hearken back to the sixties like the classic Jazzmaster wiring configuration, original-era body radii for comfort, vintage-tall frets for easy bending, and a floating bridge with a lock button and a push-in tremolo arm for expressive vibrato. 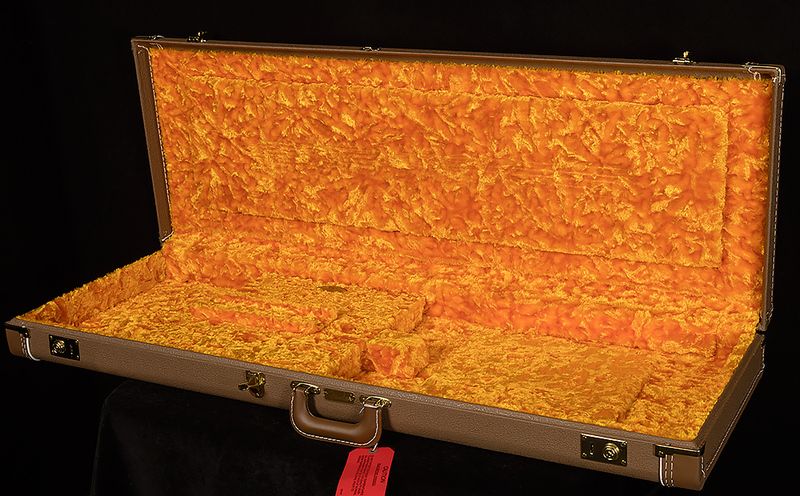 Most importantly, they’ve given these guitars a nitrocellulose lacquer finish, so they’re able to breathe and resonate just like the legendary vintage Fenders of yore. Also, the mid-60s “C” neck feels great, and the flatter, more modern 9.5” radius only enhances playability. The Wildwood team is just crazy about these Jazzmasters! We think Fender has done a marvelous job of capturing the magic of the sixties with this run of American Originals, and we hope you find their vintage vibe as inspiring as we do!